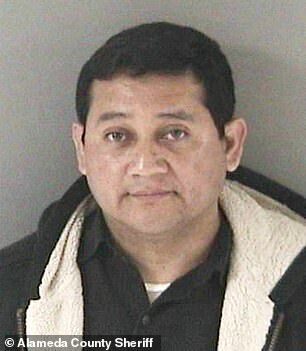 The Alameda County Sheriff's Office said that Father David Mendoza-Vela, 42, was arrested on 30 counts of suspected child sexual physical abuse that occurred over an 18-month period on March 30. 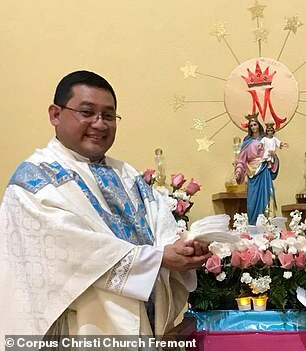 Father David Mendoza-Vela, 42, was arrested on 30 counts of suspected child sexual physical abuse against one victim that occurred over an 18-month period in on March 30. The victim involved in the alleged sexual abuse — which involved 'lewd and lascivious acts' — was 14 and 15 years old during that period, a police spokesperson said, according to the San Francisco Chronicle. 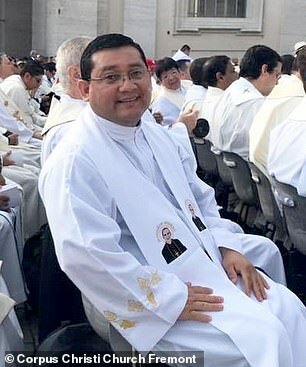 The victim's family was said to have met Mendoza-Vela through his work with the church and became friends with him because he was their Catholic priest. 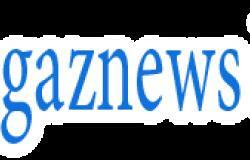 The abuse was said to have occurred at the victim's home in Hayward, California, and in other locations. The victim was said to have recently told an adult about the supposed abuse. The adult then told police about it. No additional details were provided about the victim or the alleged abuse. 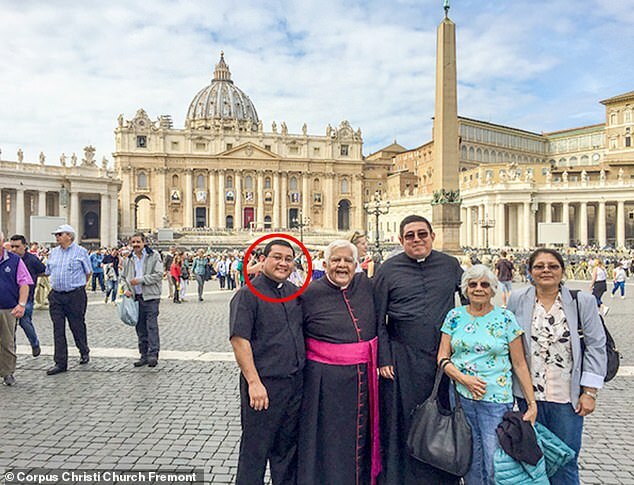 Mendoza-Vela worked at St. John's Catholic Church from 2013 to 2016, and was then transferred to Corpus Christi Catholic Church in Fremont, California.